Grey Ops, in collaboration with the TACAMO Canadian distributor Tactical-Mod is very excited to bring you another giveaway! The oft talked about conversions kits are still a hot ticket item, so it get a free one while you can. 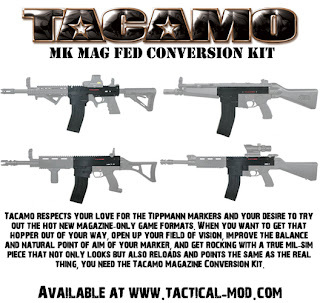 Tactical-Mod is offering this as a gift on the eve of the launch of their new Canadian based website www.Tactical-Mod.ca. Contest is over 9:59:59 PM (UTC-05:00) April 14, 2011.